The beautiful church of St Wilfrid stands on a site believed to have been first used for a church in the seventh century AD and an ancient church is mentioned in the Domesday survey of 1086. Today we seek to be welcoming to people of all Christian traditions and to those new to the faith, to be dynamic to grow in the faith and love of Jesus Christ and to be bible based, proclaiming scripture in a relevant way to encourage its application in our daily lives. We play a key role as a community resource in our town, by supporting those in need and engaging in mission by meeting with people where they are and, further afield – to supporting key charities and agencies nationally and internationally. St Wilfrid’s Church is a delightful parish church based in market town of Kirkby-in-Ashfield, Nottinghamshire. We would like to invite any new worshipers to join us at one of our services. We are based on Church Street, Kirkby-in-Ashfield – with close links to Nottingham, Mansfield and Derby. The church has survived some disasters, including a lightning strike in the eighteenth century, prompting the spire and tower to be rebuilt in 1866, and a fire which destroyed much of the inner church structure in 1907. But by 1908 the church as it stands today was ready for worship once again. The money for the rebuild was raised by the people of the parish, and the architect, Louis Ambler, was entrusted to recreate the old church. The new church was noticeably different, with the north aisle emanating the style of the 12th century, whilst the south aisle reproducing the style of the north aisle. 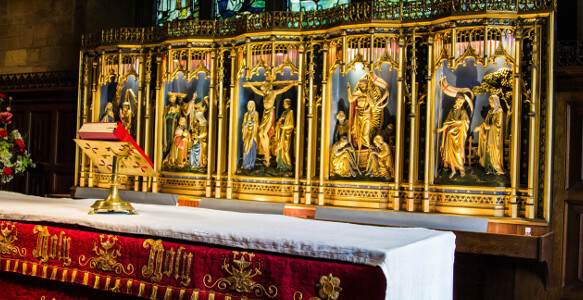 A new porch was added and a beautiful carved wooden screen was erected in place of a chancel arch. Over the years various gifts have been made to the church, including the carved oak panels given in 1928 in memory of Miss Hodgkinson. Before the fire there was always a Lady Chapel in the south aisle. In 1962 the present side chapel was consecrated. This chapel is dedicated to St Hilda, and all cost of furnishing was generously donated by an anonymous parishioner. Several years ago the Deanery of Newstead, of which we are part, was asked to look at creating a vision for the Parishes in the Kirkby, Annesley, Newstead and Ravenshead cluster. A vision that would be effective by 2020. This was primarily due to the reduced numbers of ordained priests coming forward for parish work. It affected St Wilfrid’s when Wendy retired, as the parish will eventually join with the parish of St Thomas to form one rather large parish of Kirkby in Ashfield. 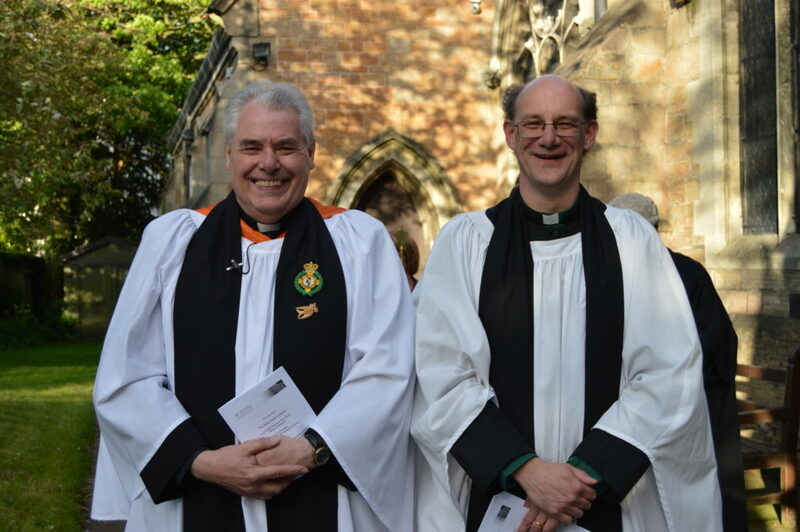 However, even though the merged Parish will take a while to happen, there has been a change which has resulted in the Rev Dr Neil Popham becoming Priest in Charge of St Wilfrid’s as well as being Vicar of St Thomas. This is a large undertaking for Neil and so he is being helped in this role by a Self Supporting Minister the Rev Kevin Charles who is a full time Chaplain to the East Midland Ambulance Service and part time Associate to St Thomas and St Wilfrid’s. The Parochial Church Council (PCC) is not only responsible for the financial affairs of the church and maintenance of the building, but also for promoting in the parish the whole mission of the church. More information about the regulations surrounding PCC’s can be found here. The PCC of St Wilfrid’s meet 8 times a year, and members are elected during the APCM in April. They are volunteers within the parish, who are responsible for the church and the church grounds, and the day to day running of the parish. But it’s not just the building they look after, it’s the parishioners and the smooth running of the church that matters too. Currently our wardens are – Ann Hilton and Brian Vardy. They can always been found near the back of the church on a Sunday if you ever want to talk to them!